Whether you’re looking to get started in real estate or to sell or buy a home, you can rest assured that we’re going to help you. We are committed to providing you with top notch service, plenty of options, and tons of support. iCandy Homes is a family-owned national real estate company. 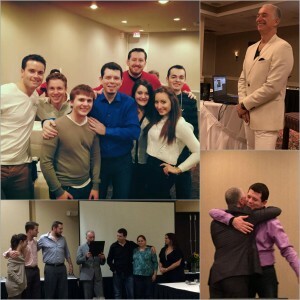 Our team has grown but our family based company culture has remained the same. We pride ourselves on this because it translates to our clients – and we think that matters. Our clients are the most important thing to us. We treat our clients with the utmost respect and care. We know that it is our duty to give as much time and individual attention as needed to best serve your interests. Our team is forward-thinking, able to see both the big picture and the path that needs to be taken to get you there. We are active in real estate nationwide, most notably in Illinois. We have an extensive background and education in real estate investing. We are experienced in a multitude of strategies, including single-family homes, mobile homes, commercial properties, tax liens and deeds, and land development. The iCandy Homes team attributes it’s tremendous ability to grow and help others to the help of business coach Meir Ezra. Our team went through tons of training programs and many different coaches. Nothing compares to Meir Ezra’s courses. Our very first day with him was life changing, there were so many breakthroughs. It was so motivating and exciting to see for the first time what was truly possible for our business. 4 years later the proof is in the results. Meir helped us implement systems to organize our activities, which brought renewed purpose in our business and lives. As a result, we are growing our business with extra time to spend on the things that matter most to us.